The Captain Marvel movie coming from Marvel Studios has revealed minimal details ahead of its production. The film will follow up the titular heroine's introduction in Avengers: Infinity War, with Brie Larson in the role under the direction of Anna Boden and Ryan Fleck. 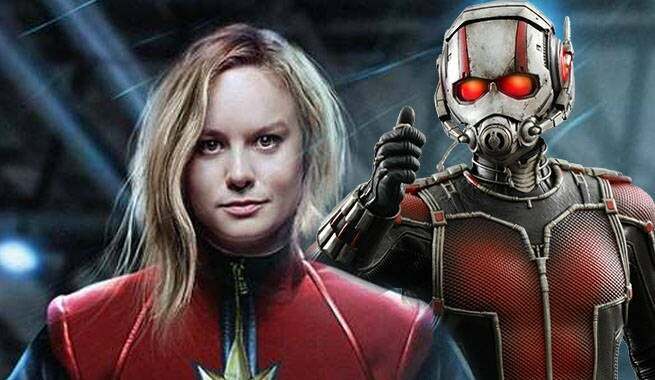 Now, the scientist behind some of the Marvel Cinematic Universe's most detailed and intriguing moments has revealed a connection between Captain Marvel and an already released Marvel Studios film: Ant-Man. As the story goes, Captain Marvel's powers will be better understood with explanation of the Quantum-verse introduced in Ant-Man, according to Dr. Spiros Michalakis, a quantum physicist and staff researcher at the California Institute of Technology. "This is exciting for the future," Michalakis said. "There are different ways that some of these ideas appear on-screen in a few years. Not just for Ant-Man, but also for Captain Marvel and all of the Marvel Cinematic Universe." With the tease of Captain Marvel's powers being explained, the immediate conclusion to jump to is the film telling an origin story. While Michalakis was unable to go into further detail about Captain Marvel, he did tease what it takes to take flight, in the closest thing to terms us non-scientists can wrap our brains around. "Gravity, as Einstein said, is nothing but the curvature of space-time," Michalakis said. "The curvature of space-time is the curvature of something we call the manifold, like a 4-dimensional structure like the sphere, or a globe. So, if you understand that, and manipulate that, you can change the curvature of space-time. Hence, changing gravity." During a visit to Marvel Studios headquarters, ComicBook.com had a chance to check out the first concept art of Brie Larson in her Captain Marvel costume. The costume was pulled straight from the pages of Marvel Comics. The most notable difference is the downplaying of the yellow which grabs the eye of those looking at Carol Danver's constume. Instead, it is a much lighter yellow, which can appear to be white at a glance. Otherwise, the suit on the cover of Kelly Sue Deconnick's Captain Marvel #1 is a quite accurate representation of what fans can expect to see in live action. Artist Andy Park did point out that the costume is still evolving and Larson has not yet tried on the design featured in the concept art images. 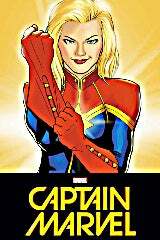 Captain Marvel hits theaters March 3, 2019.